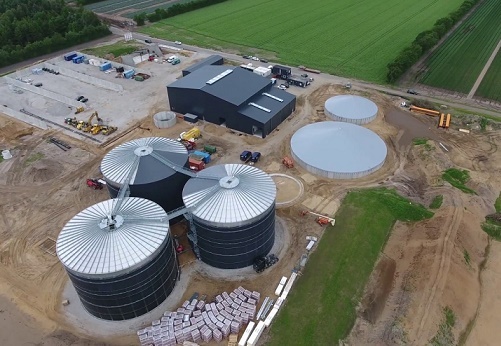 On Friday last week Denmark took another step towards a greener future on the energy front when a biogas plant was inaugurated in Brande, mid-Jutland. The plant, owned jointly by organic market gardeners Axel Månsson Øko and Nature Energy, cost 130 million kroner and can produce enough energy to heat 4,000 houses per year. The finance minister, Kristian Jensen, performed the opening ceremony. “With experience from a plant like this, in the long term we can obtain biogas energy that is totally competitive,” said Jensen. One of the dividends the minister was referring to comes from the better use of organic manure. After it has been used to generate gas, the waste products of the plant can be used by organic farmers in the Brande area as fertiliser. “Denmark could be the first country in Europe to move completely away from fossil fuels. Already by 2035 it ought to be possible to cover the gas needs of industry and private homes from green biogas,” said Ole Hvelplund, the administrative director of Nature Energy. At present, biogas accounts for 10 percent of the network’s power – the only country in the world with such a high proportion. The new plant will consolidate its position, as well as providing a good advertisement for potential customers worldwide. “We are very much at the forefront when it comes to the development of biogas plants and there is a great deal of export potential,” said Michael Persson, the head of the secretariat at DI Bioenergi. “All over the world, organic farmers and market gardeners face the challenge of obtaining enough fertiliser. Now they can look to Denmark for inspiration,” added Persson.